A full range of aftermarket services for total customer support. A big reason why Kingsbury bearings are so long-lasting, reliable, and provide so much value, is the exceptional array of services that we offer. Kingsbury provides a level of customer service and support before, during and after installation that nobody else can match. All in all, Kingsbury's bearing service personnel will keep your bearings operating at their peak for the life of your equipment. Kingsbury engineers are known for their success in developing innovative problem-solving technologies that reduce power losses, increase operating speeds, and deliver optimal efficiency. 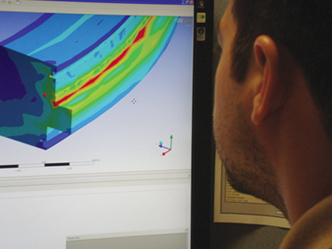 In fact, no one else rivals our expertise in application engineering and design. We start by providing a thorough technical review of your needs and follow up with a tailored solution to ensure that you get the best overall performance from your equipment. This applies not only to new units, but also to system upgrades and retrofits. 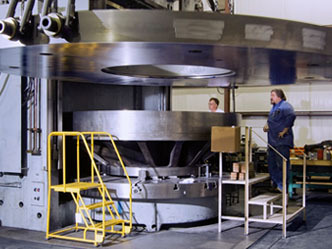 Kingsbury operates two production facilities for pre-engineered and custom bearings – one at our headquarters in Philadelphia, PA and the other in Oshkosh, WI. 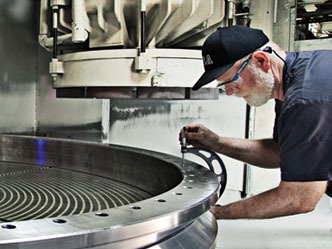 Our ISO 9001-2008 certified production plants feature state-of-the-art CNC and robotic manufacturing systems to ensure that your bearings meet your precise specifications. 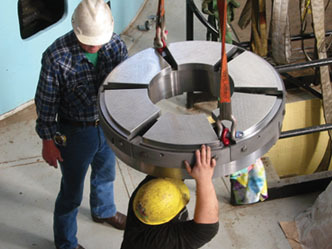 Our experienced field engineers can offer start-up assistance to ensure a trouble-free bearing installation. They'll also provide on-site analysis and service to diagnose and correct problems in existing installations, maximize bearing performance, and improve overall application efficiency. 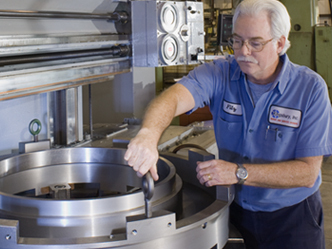 Kingsbury enables superior machine performance through expert bearing solutions. When you select Kingsbury's Repair & Service Division for a bearing repair or retrofit, you get more than an expert solution from the company that invented fluid film bearings. You get better machine performance. There are many ways that Kingsbury can help you. Send your babbitted, fluid film bearings to one of Kingsbury's Repair facilities for an expert evaluation and a proposal to repair or replace your bearing or components. Kingsbury understands the urgency of repair evaluations and in many cases, is able to provide the initial inspection at no cost. To learn more, select the nearest Kingsbury facility from our Aftermarket Contacts list. Regardless of whether you have an emergency breakdown or routine maintenance, we know that getting your parts back to you as quickly as possible is critical to your success. Kingsbury Repair & Service can be reached at any time at 1-215-956-0565 for your service, support, or repair needs. After hours, you will be guided to our emergency support line. You may e-mail us at any time at Repair@Kingsbury.com. Let our experience help you improve the overall performance of your machinery. In addition to expert repair capabilities, Kingsbury is able to recommend retrofits, monitoring equipment and modifications that will improve your bearing's performance and reliability. We stock thousands of standard components in our manufacturing and aftermarket facilities. 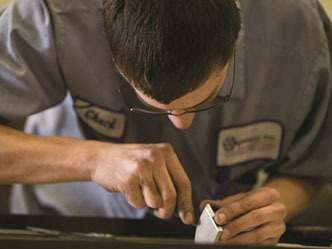 In the case of standard bearings, component replacement will cost less and provide a faster solution than the repair of an existing component. In addition, we specialize in custom design and manufacturing. Our repair facilities are staffed and tooled to permit fast deliveries on specialty and make-to-order bearings and components. For current equipment, Kingsbury will help you to identify the components that you need and either assist you directly or guide you to the appropriate OEM for support. Kingsbury Repair & Service can replace obsolete and older designs with drop-in replacements, often providing a performance improvement. In many cases, this can be achieved using standard or existing custom designs. This applies to auxiliary systems as well (lube systems, load cells, temperature detectors, etc.). Our Field Service and Engineering team can answer your bearing questions over the phone or via e-mail, depending on your preference. 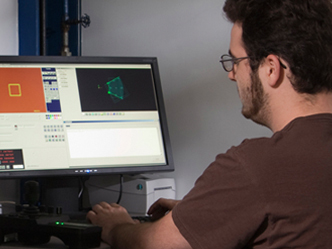 Kingsbury is proud to have the largest staff of Field Service, Design, and Research & Development Engineers in the fluid-film bearing industry. It is this expertise that makes us invaluable to our customers. For times when you need expert assistance in the field, contact our office and we will send out a field service technician. Kingsbury offers in-house and on-site training on various topics, including fluid-film bearing basics, performance monitoring, troubleshooting, failure analysis and special topics. Kingsbury periodically offers seminars at its facility or yours, designed to meet your specific needs and interests. To inquire about Kingsbury training, call us at +1-215-956-0565 or email Expert@kingsbury.com. Email Repair@Kingsbury.com for repairs & field service and general bearing condition questions or call +1-215-956-0565. Email Expert@Kingsbury.com for technical support.